Posted on December 9, 2017 by Katharine L.
After discovering that The Hunger Games was my 7th-grade extra credit reading book and that I haven’t read it before yet ( say what?! ), I decided now was a good time to pick it up and finally start on it. Yeah, I know, how could you have not read the Hunger Games before? Face it, everyone’s probably pretty familiar with this book. You know of it, of course. 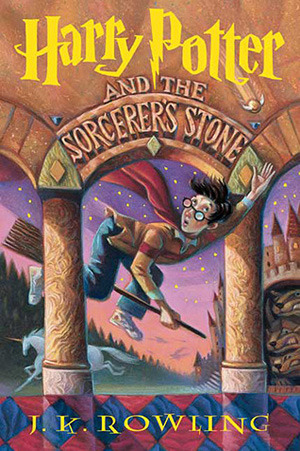 It’s a famous book that almost everyone knows, just like Harry Potter and Percy Jackson. Anyways, once I picked up this book, I found it impossible to put down. I read for two straight days and got it finished. And then I reread it. And reread it again. I probably would recommend this book for older children, particularly because of a few violent scenes. But other than that, I would highly recommend this book for anyone who looks forward to action and thrillers. Starting off with the famous Katniss Everdeen, the book takes place in District 12, her hometown. There are twelve districts, although there used to have been a 13th, which was destroyed because of their rebellion against the all-ruling Capitol, Panem. Because of this, the Capitol has ordered the event called the Hunger Games, where two tributes, a boy and a girl, are selected from each district (24 tributes total). They will be placed inside of an arena whose conditions can change with directions from the inventors of the Hunger Games, the Gamemakers. The whole point of the Hunger Games is for the twenty-four tributes to kill each other as a sport; the last tribute standing wins, leaving the arena with a life of luxury. And the purpose of all of this? To prove how everyone is at the Capitol’s mercy, how they take the people’s children to watch them fight to the death. From District 12, Katniss and the boy tribute, Peeta Mellark, are pitted against the other twenty-two tributes. They have no idea what the arena conditions will be like; the yearly Hunger Games change every year. All they know is that it will be difficult, and definitely lethal. I have to say, Suzanne Collins, the author, was really suspenseful. Every fight scene, every page that she wrote, was filled with action from top to bottom. That’s what kept me hooked to the very last page. But even through all that, she also manages to weave in just the right amount of romance between Katniss and Peeta. I can’t wait to read the next book in the series, Catching Fire! I’m sure it’s as good as the first one. But first, who will win the intense, action-packed Hunger Games? Because the tributes will either get out of there alive…or dead. 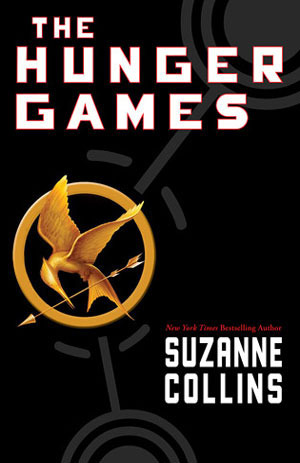 The Hunger Games series by Suzanne Collins is available for checkout from the Mission Viejo Library. It is also available for download from Overdrive. Yes, it is that time of the year– November is the month that the Hunger Games movies always seem to come out. 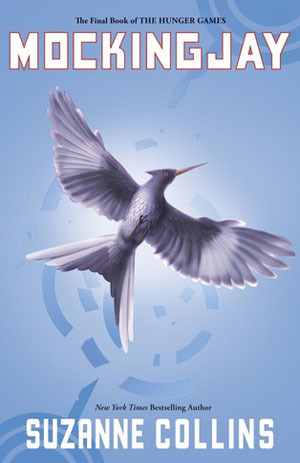 Mockingjay, written by Suzanne Collins, is the last volume of the Hunger Games trilogy. Seems to the readers that the games are over. But we are mistaken. Katniss has identified her new position in District 13; she is the rebel. During the second Hunger Games, Katniss and some other fellow participants were removed from the Quarter Quell. However, Peeta is still missing, meaning that he is under the sharp eyes of the Capitol. Soon, some rebels find Peeta. Peeta has unfortunately been brainwashed, and now sees Katniss as the enemy of this entire situation. Since the movie is releasing this Thursday, November 20 at midnight, I will not discuss the plot of the story any more. The movie is only the first part of the novel, and I do not know how far the writers will go based on the storyline. I am very excited for this movie. I think that since Mockingjay is broken into two parts, the film will be extraordinary due to the clear oversaturation of events in the novel for it to be made into one film. Are you excited for this highly-anticipated movie? What are your thoughts on how well the Hunger Games movies represent the novels? Posted on July 17, 2014 by Sabrina C.
I love both of these heroines because they play the perfect part for women. Usually, you see men as the heroes in books, while women are mostly played as the love interests. The Hunger Games and Divergent trilogies have great examples of women who are heroic and brave. They are shown as the person to look up to in their books. 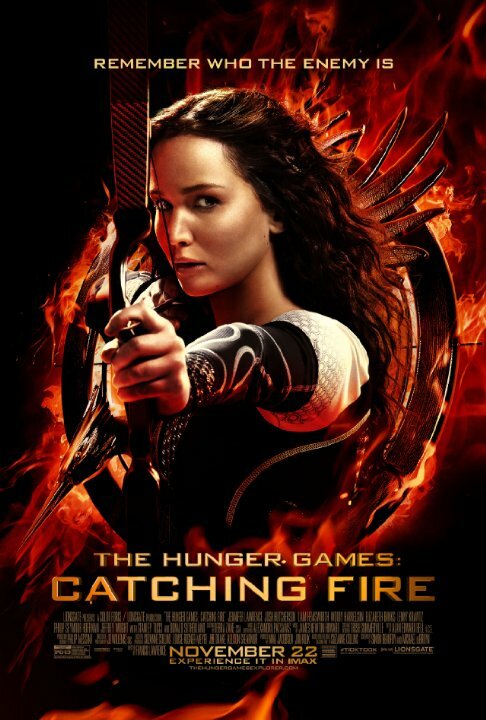 Katniss Everdeen, from Suzanne Collins’ The Hunger Games, is a daring and wild girl in her series. She is the one girl who everyone either sees as an enemy or a hero because she is so powerful and takes charge. She is the inspiration for a revolution even though she came from humble beginnings. Although she is pretty, and many guys like her, that isn’t the reason for her existence in the books. She was written as a strong character who can fight her own battles and isn’t afraid to say or do what she wants. 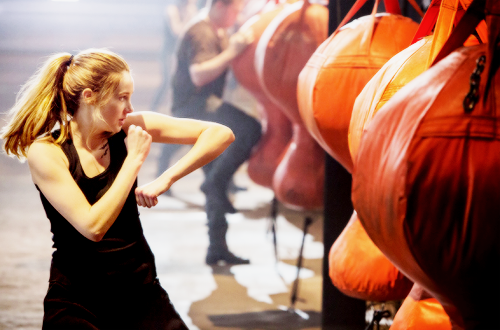 Tris Prior, from the Divergent books by Veronica Roth, is also a major rebel who doesn’t play by her society’s rules. She is a great role model for people, not because she is a rebel and rule breaker, but because she is strong and independent. She is the ultimate rule breaker and won’t have someone boss her around. She is also a leader of her own rebellion. She could’ve easily been portrayed as a love interest in the books, but luckily that wasn’t the case. Her strength and wisdom also make her the brave woman that she is. These two amazing rebels are just some examples of the many great heroines in other books. Some other books with strong female heroes are: Unbreakable (Kennedy), Harry Potter (Hermione), Percy Jackson (Annabeth), and–my mom’s favorite–Pride and Prejudice (Elizabeth). Are you reading a book with a great feminine hero? If you are, I’d love to hear about it in the comments! Finally, I want to thank all of the authors who write about great heroines. 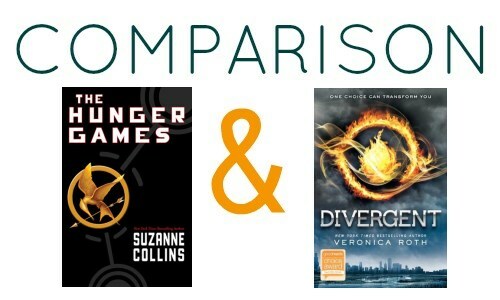 Posted on June 27, 2014 by Megan V.
Most people have read either Divergent or The Hunger Games before, since both were a sensation because of the movies that came out based on them. However, that’s not the only thing that these two book series have in common. In fact, there are many different ideas that could be compared to. Number of books: they are both a trilogy, no matter how many short side stories there are. Genre: They both are set in a future America where there is slightly more advanced technology and something has gone wrong, so all the laws were changed. Main hero: Both have a girl as their hero and main character. For The Hunger Games, it’s Katniss Everdeen. For Divergent, it’s Tris (Beatrice) Prior. The government’s thoughts: The main ruling government would later be after the heroine (as in most books). Inciting incident: These two heroines start the route of their story by doing something that the government doesn’t expect. Of course, if we are comparing these two books, we should know their differences, too. The heroine’s views of their society: Katniss doesn’t like the government and wishes that there were different rules, for she is of the poorest district, and has to feed herself, her four year younger sister, and her sort of there mom. Tris, on the other hand, while she does wish to be with a different caste, she is okay with her government’s rulings. The love story: I felt that Katniss was forced to love the guy. Even though he loved her, it never seemed like she loved him in the same way. However, Tris and the guy she likes definitely loved each other. Whenever, one of them needed emotional help, the other was usually there to give it to them, and whenever they kissed, the detailed descriptions showed that they meant each and every kiss. 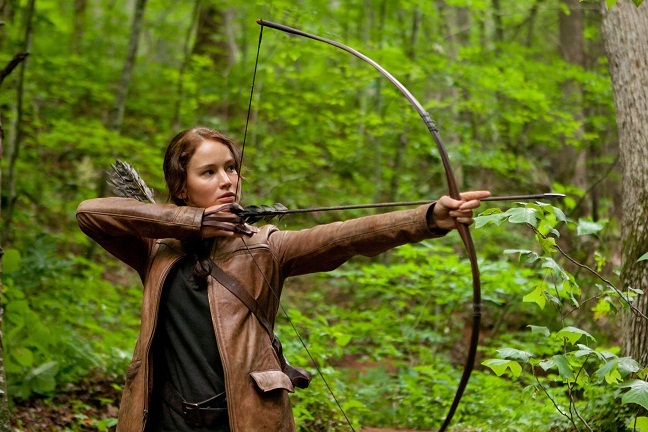 Hero’s development: Katniss doesn’t learn much; she keeps her traits throughout her story. Tris, however, does change her beliefs; by the end of book one, she has clearly not feel the same way as she had in the beginning of the book. Endings: I want readers to firstly know that this is my opinion, and everyone is entitled to their personal opinions, whether or not they agree with me. I felt that while The Hunger Games trilogy had a somewhat short and boring ending, it resolved the plot in a good way. However, the Divergent trilogy ends in a long, detailed, but very disappointing and terrible resolution. In the end, I can say that these two series are awesome, no matter what their pros and cons are. I’d advise you to try them both! Posted on March 26, 2014 by Sarah B.
I thought to myself that this question wouldn’t be asked if we were reading books written by men, like we usually do. The representation of women in the media is important and influential. Women in literature are especially important, whether they are characters or authors. Women are grossly underrepresented in the media and it’s time we changed that. An example of why feminism is needed in the media, especially in the literary world, is that J.K. Rowling, the author of the Harry Potter series, was told by her publicist to use the pen name J.K. Rowling because if she were to use her full name, Joanne Rowling, she would not sell as many books because women do not sell as many books as men as a result of society’s prejudices against their gender. Women are still not equal to men in this day but equality can be achieved step by step if we take the necessary steps. Young girls and boys need female characters that they can look up to. Young girls as well as young boys need to know that female characters can achieve just as much as male characters can. It is important for children as well as adults to see the potential of female characters. The majority of main characters in books are male. Female characters are usually used as minor characters or love interests. When female characters are love interests, they are reduced to just that. They become surface-level characters, who exist solely to be a love interest. Feminism is still relevant today– issues of equality still exist and will continue to exist unless we do something about it. People in the media such as authors and directors have the power to create complex characters who can defy gender and social norms and to break the barrier of inequality. Posted on March 11, 2014 by Angela J. Books have a way of taking us to new and exciting places, and a lot of times those are places we wish we could go visit. Places like Hogwarts and Camp Half Blood are places that captures a reader’s heart and make you wish you could just jump through the pages and join in the adventure– and yet there a few fictional worlds that I am very glad are just that… fictional. While the The Hunger Games is a great trilogy full of action and excitement, the country of Panem is one I’m glad exists only on paper. The thought of being entered into a drawing and forced to fight to the death at such young ages is something that I am glad I don’t have to worry about. Even though the concept that drives the story is something that I’m sure almost everyone would be against if it was implemented in society, there is something that makes it incredibly alluring to read about. The huge disconnect between the Capitol and the districts is something that in a way is reflective of our own government, and I think this is part of why readers are drawn to strongly to the story. This draw is further enhanced by Katniss’s incredible drive to protect those she loves, something which also aids in making the story relatable. Overall, the world of Panem is one that we can love to hate. The Giver takes place in an unnamed, futuristic society that at first glance is a utopia. Everything in this world is designed to make life as pleasant and convenient as possible; everyone is always polite, there is no war, no sickness, essentially everything unpleasant about life has been eliminated. Through reading the book and following the story of Jonas, the child who has been given the job of the Receiver of Memory at the Ceremony of Twelve (12 is the age at which children get their assignments, or roles they will play in the society), the reader begins to see that this utopia comes with a price. By eliminating all negatives aspects of life the society has really eliminated what makes people, people, something that Jonas learns while receiving the society’s collective memory. The Giver is a great reminder that even though life can be painful and unpleasant at times, it is these struggles that make life great in the long run. 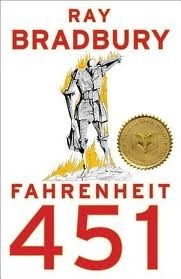 The world of Fahrenheit 451 is another world that could be considered a utopia, however its flaws are more readily visible than other stories that feature utopia societies that dissolve into a dystopian society as the story progresses. In the society portrayed in the book people lives are all about quick gratification and easy living, they don’t think for themselves or having meaningful conversations, rather they settle for cheap thrills like driving their cars far too fast and letting technology essentially brainwash them into confirmatory. The biggest thing that sets the world of Fahrenheit 451 apart from our world is that books are illegal and fireman start fires, not stop them. Books are burned to prevent the spread of ideas and keep society uniform. With this restriction of thought it’s easy to see why that is a world better left on paper. Overall, while there are many great fictional worlds that I would love to visit there are some that I am certainty glad are safely contained on the pages of books. What Would Katniss Everdeen Read? Posted on February 19, 2014 by Leila S.
In Suzanne Collins’ Hunger Games trilogy, Katniss’ life seems very busy. But in the times that she is not spending as the star of the books, what does she do with her extra time, other than hunting, of course? Here are a few books that might catch Katniss’ attention. 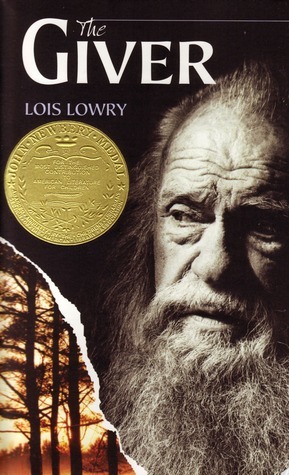 The Giver is about a young boy named Jonas, who becomes trained by the elderly Giver, to eventually learn about the world outside of the controlled dystopian society. Katniss would enjoy this book because she could relate to Jonas’s frustration that there was no possible escape from the dystopian society. She would also relate to Jonas when he was learning about emotions and color, since before she went on her Victory Tour, she knew nothing about the other districts. However, both characters then developed a deeper understanding about the world around them because of their unique experiences. The Maximum Ride series is about genetically modified ‘bird-kids’ who are trying to protect each other from several wolf-human mutations, not to mention the lab which created them. Katniss would enjoy this book because Max, the main character in this series, is a lot like Katniss in that they both care about their family and others to extreme measures. Max treats the other ‘bird-kids’ that live with her as family, even though they are not the slightest bit related. Likewise, Katniss makes the ultimate sacrifices for her sister, Prim, as well as her ally in her first Games, Rue. My Brother Sam is Dead is about a boy whose older brother goes to fight in the Revolutionary War. Being the younger brother, he always looked up to and wanted to do everything his brother did, always believing that it was special or fun. In this book, he wanted desperately to fight in the war. Katniss felt this way when she was being filmed during the war against the Capitol, which caused her leave safety of her protectors and cameramen and fight on the front line with Gale. Now you’ve heard what I think Katniss would read in her spare time, what do you think? Are there any other titles you can see Katniss pulling off the shelves to read? What do you think she would read in the solitude of the woods on a peaceful afternoon? Let me know in the comments section below.